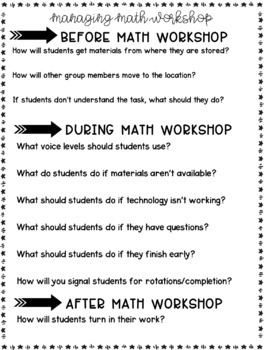 Establishing Math Workshop is one of the key ingredients in a Guided Math block in your math classes. Math Workshop allows for you to facilitate independent and individualized learning in a small group setting. 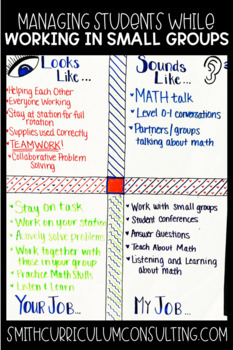 While you are working with a small group for Guided Math, or facilitating math conferences 1-on-1, the other students in your classroom are engaged in a variety of tasks. 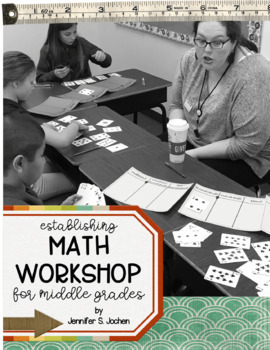 Throughout the course of this eBook I go into the ways that I was able to implement Math Workshop (student directed small groups) and Guided Math (teacher directed small groups) in my 7th and 8th grade classrooms for several years. 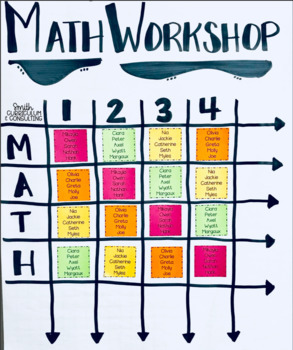 And as an additional BONUS, the download includes over 15 EDITABLE files for you to use to keep your Math Workshop organized and flowing smoothly in your classroom day in and day out. Personal Copyright: The purchase of this product allows you to use these activities in your personal classroom for your students. You may continue to use them each year but you may not share the activities with other teachers unless additional licenses are purchased. The license for this purchase is NON-TRANSFERABLE. Site and District Licenses are also available. Copyright © Smith Curriculum and Consulting, Inc. All rights reserved.